In case you haven’t noticed from my blog, I love Mexican food. 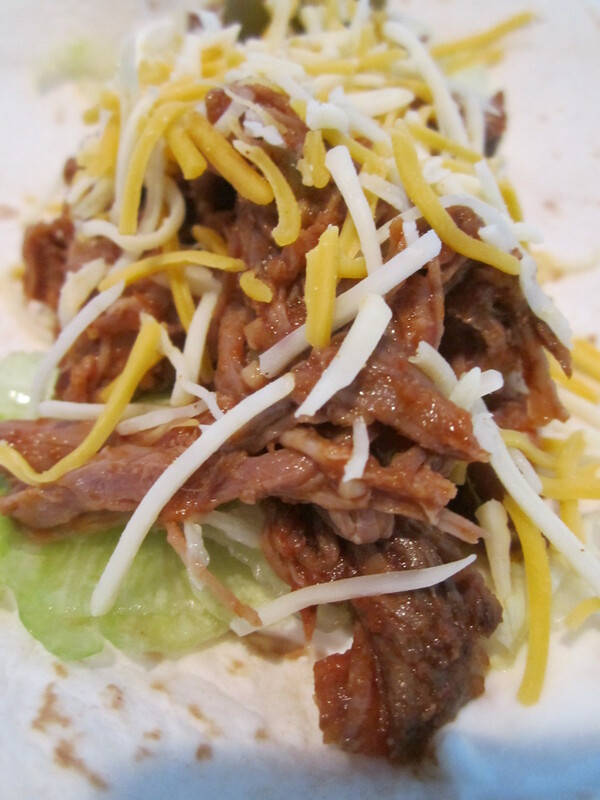 This recipe was no exception, husband and I were both big fans of how these tacos turned out. The combination of spices that are used make the perfect combination. 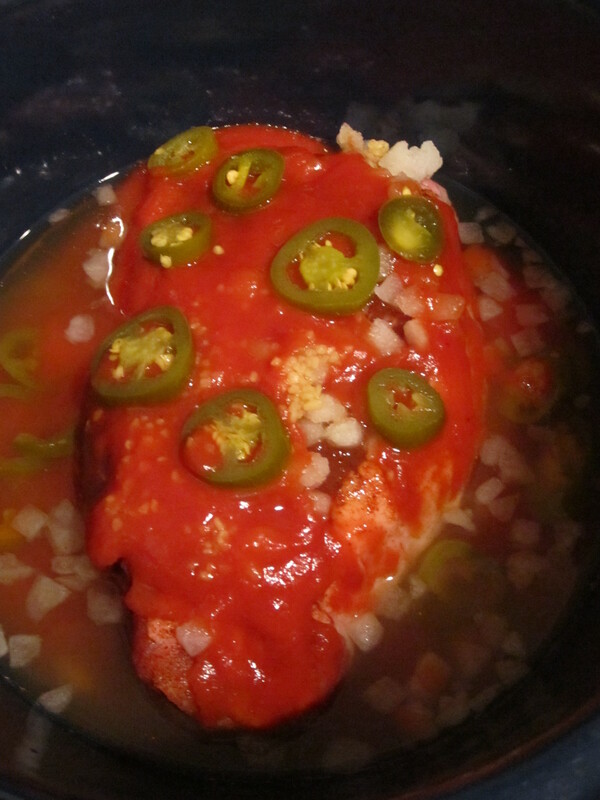 As usual, I especially loved this recipe because it was a crockpot recipe! 1. Combine the chili powder, cumin, paprika, and chipotle pepper in a small bowl. Rub the spice mix into the beef, covering each side evenly. Place in crockpot with beef stock. 2. Top with tomato paste, onion, garlic and jalopenos. Cover and cook on low for 6-8 hours. 3. Remove the beef from the slow cooker and shred with two forks. 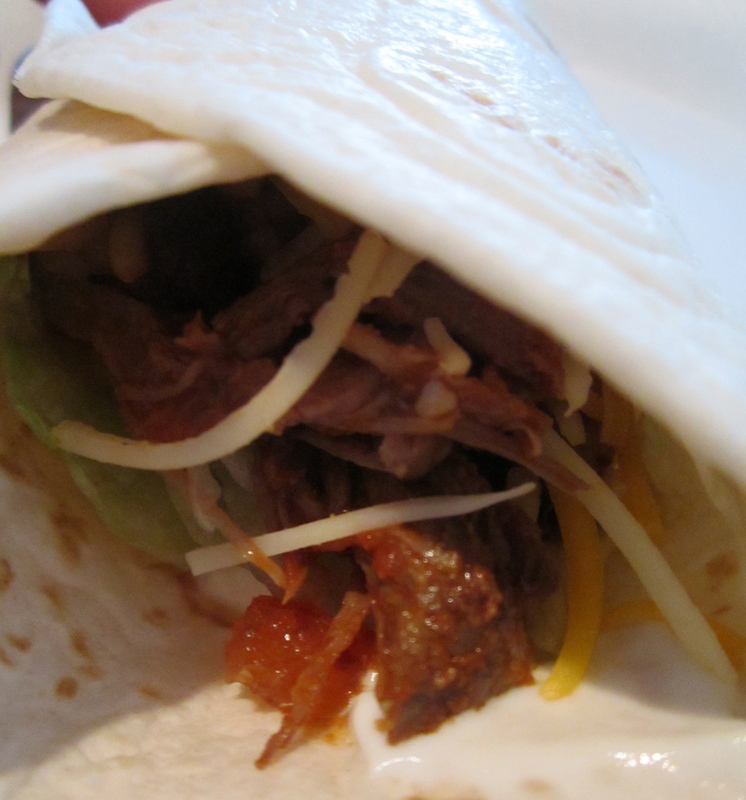 Use a slotted spoon to remove the onions from the slow cooker, and mix into the shredded beef. 4. Serve the beef in the flour tortillas, topped with your favorite taco toppings.